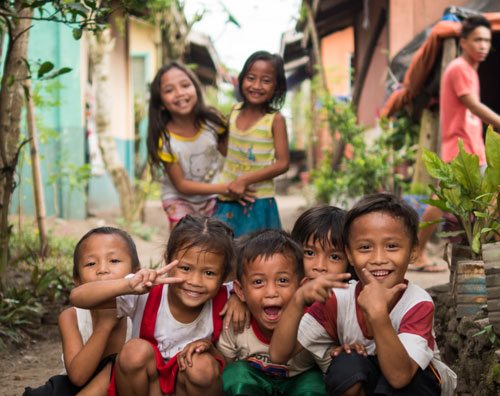 Khean lives in a small village in Cambodia. The Khmer Rouge were still quite active in her childhood and her family’s lives were difficult. Her parents were rice farmers. Their plot of land was small and they were not able to grow enough food to feed their family. They were often hungry. The closest school was a long walk through the jungle and Khean was only able to attend through grade five. 25 years later and Khean’s life is very similar. She and her husband have a small farm where they grow rice each year, but it is barely enough to feed themselves and their two children. 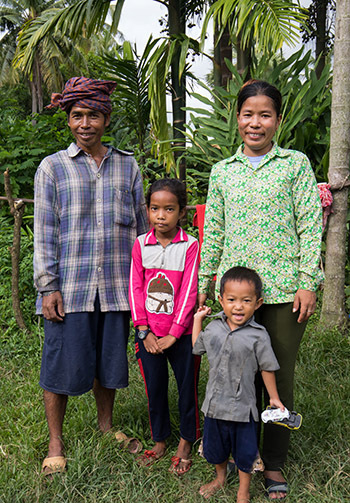 They earn $5 a day planting, weeding, and harvesting cassava from nearby plantations to provide their family with necessities like cooking oil and soap. 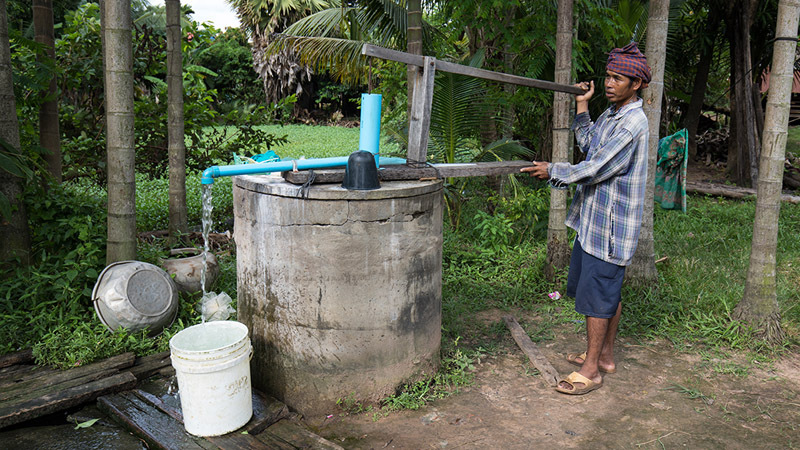 About two years ago, ADRA began to work in their village. ADRA workers helped the villages to form small groups to give sessions on health. As soon as Khean heard about the sessions she joined a group. In the meetings that she attended, she learned many new things. As we spoke to her, she shared her journey of discovery and how it has changed her life. “I have been attending the ADRA group meetings now for about two years and I have really learned a lot about how to keep my family from getting sick. The PD Hearth Nutrition program was especially helpful. In these classes, we learned how to cook meals that are well balanced and nutritious. We learned that there are three different kinds of food groups and that we should try and include something from each group in every meal for our children to be healthy. Before we ate mostly rice with a little sauce. Now I add a lot of greens and vegetables into the cooking pot. I already had a small garden by my house, but I learned a lot of new ideas about how to have a better garden from the group sessions. ADRA gave us some seeds and we have been trying some new vegetables that we have never used before. My family likes them a lot! We also learned about the importance of drinking clean water. Before we used to just drink water straight from the well. If we were working in the field, we would drink whatever water we could find in the field or from a nearby pond. We used to get sick a lot with diarrhea and stomach aches. We never really knew why. One day we received a water filter from ADRA and we now drink only filtered water. Now we hardly ever get sick! It has made a big difference in our lives, just having the water filter. The toilet that ADRA helped us get has also been a big change for us. We have never had a toilet before. Whenever we had to go, we would just go out to the bush. This can be very uncomfortable especially in the night with mosquitoes biting you. Now we have a nice clean toilet right beside our house, which is very convenient. After the training on sanitation, we now make sure that we are all washing our hands after using the toilet, before cooking, and before eating. We now keep the house and the area around our house clean. In the group meetings, we learned a lot about how to become better parents by spending more time with our children and playing with them, being kind to them, and speaking softly to them. We learned that if we play with them at meal times, they will eat more. In our group meetings we had a lot of discussions about gender roles and how to have a better marriage. Since my husband and I started following the suggestions, our relationship has really improved. My husband now helps with the children, he collects firewood and the water for cooking and for the toilet. Sometimes he even helps with the cooking! Things are really a lot better now! The ADRA group meetings are a lot of fun. As we talk about things we laugh together a lot. Even though our village is small, and everyone knows everyone, we have grown a lot closer to each other because of the small group sessions. We have become a much better village because of ADRA, our families have become stronger. 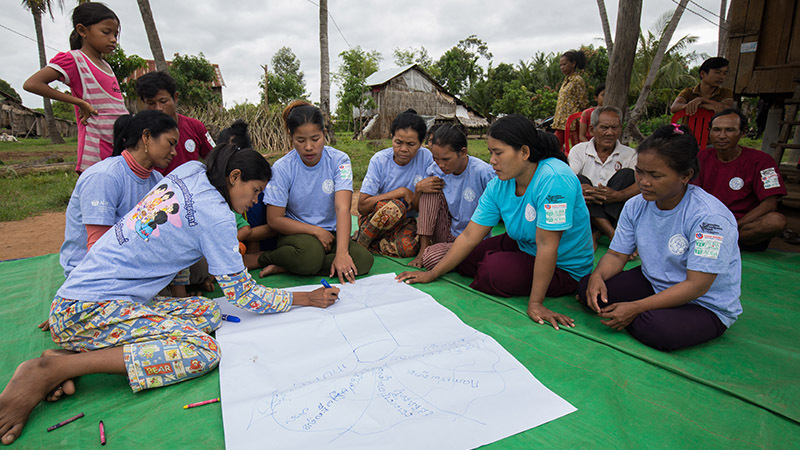 Khean attends an ADRA group meeting in her village where she discusses a topic on health. 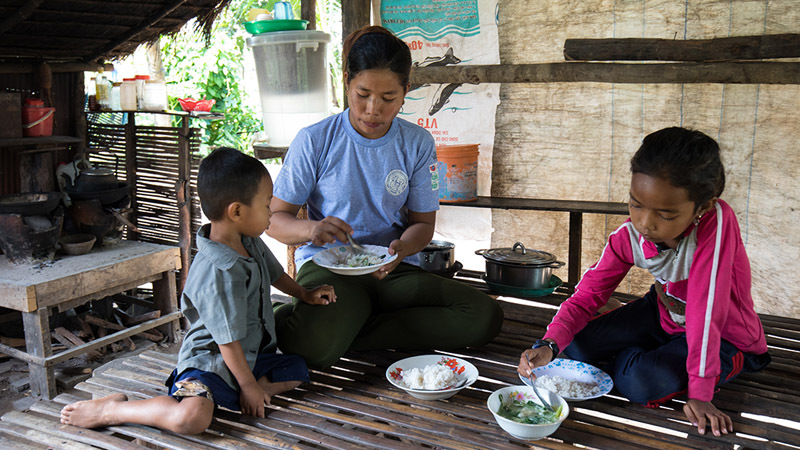 Khean is now feeding her children more greens and vegetables, which has improved their health. Khean’s husband is now helping out around the house a lot more. Sharing household tasks has really helped improve their marriage.